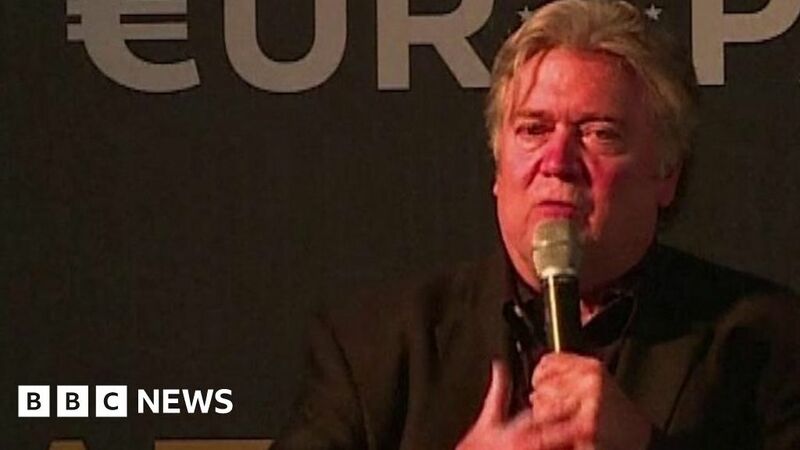 Strategist Steve Bannon, credited with helping get Donald Trump into the White House, is turning his attention to European politics and seeking to support populism in the EU. The Movement, run by Mischaël Modrikamen, a Belgian lawyer turned right-wing politician, wants to help populist parties in May’s European Parliament elections. Politics Live reporter Greg Dawson has been to the new project’s headquarters in Brussels.